The D.C. Council will be asking questions about how city public schools have responded to elevated lead levels in the water at a handful of school buildings. A hearing on the schools' lead testing program is scheduled for Wednesday. Last year, a city contractor found elevated lead levels in water fountains at a dozen schools during routine testing. However, the results weren't shared with principals or parents until months later. District of Columbia schools officials and the Department of General Services, which handles the testing, have pledged to keep the school community better informed. 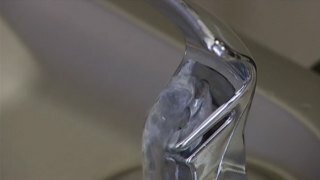 On-site lead testing was offered for children at some of the affected schools, and no children have tested positive for lead. City officials also ordered a new round of water tests at all school buildings.